Open kitchen with oven, microwave, fridge, freezer, induction hob and dishwasher. 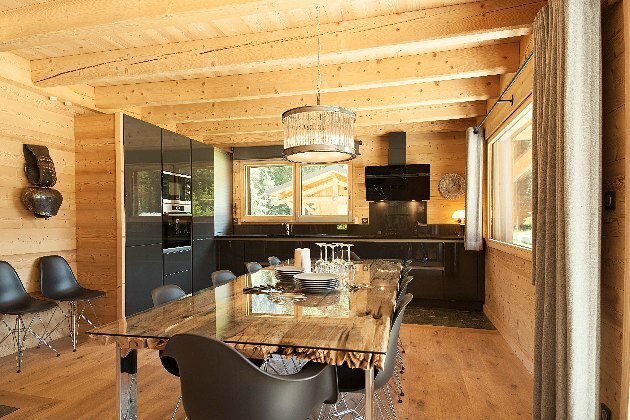 The dining area can accommodate 12 people. Warm and cozy living room with wood stove, TV, DVD player, wireless internet and satellite access. 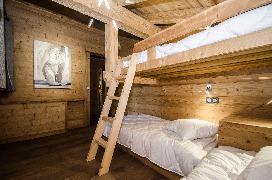 A room with a double bed 180x200, TV and private bathroom. 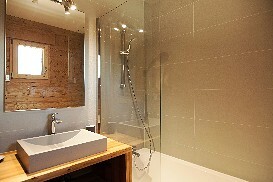 Separate toilet hosting also the washing machine and dryer. 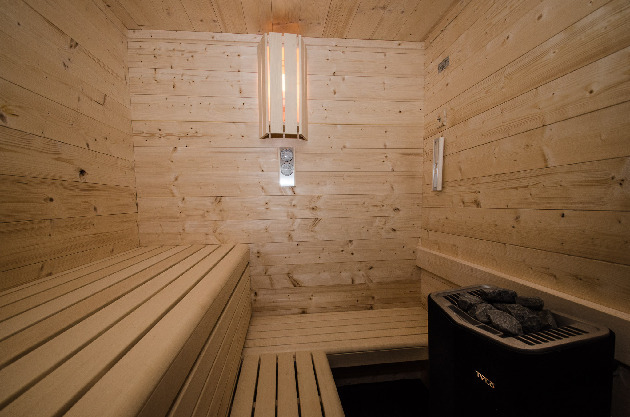 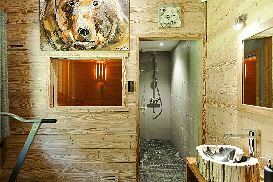 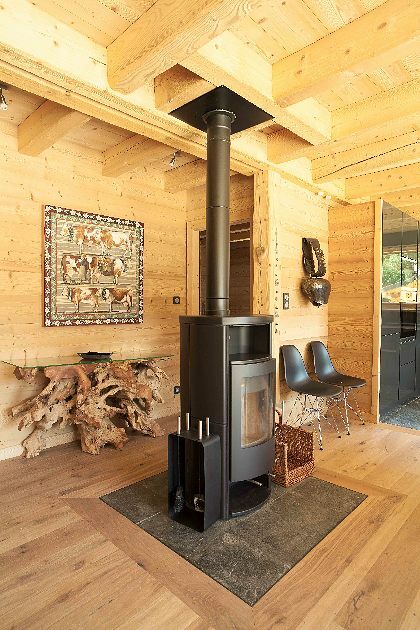 After a day of skiing or hiking, you’ll be able to relax in the sauna. 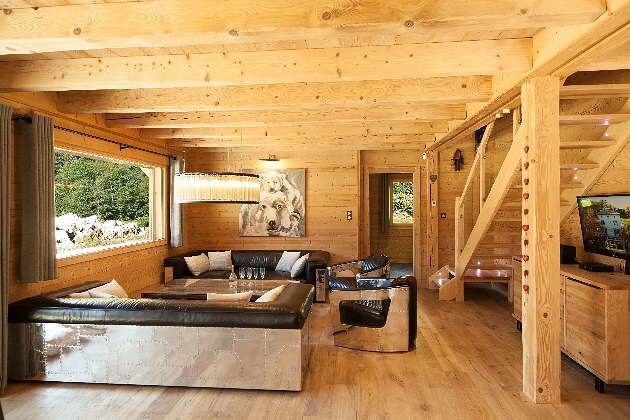 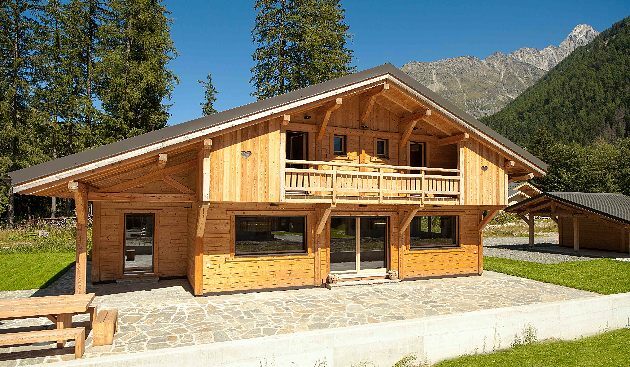 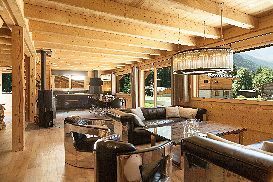 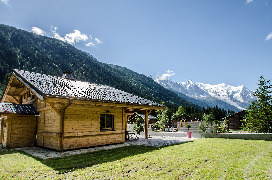 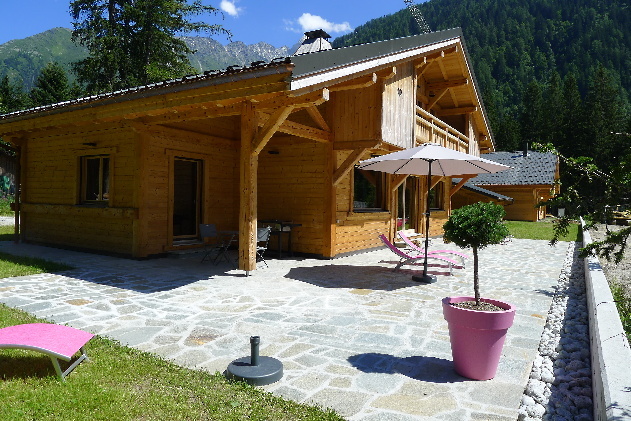 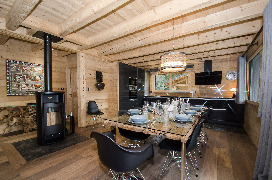 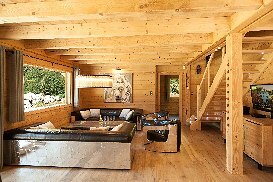 You will also enjoy the large terrace overlooking Mont Blanc. 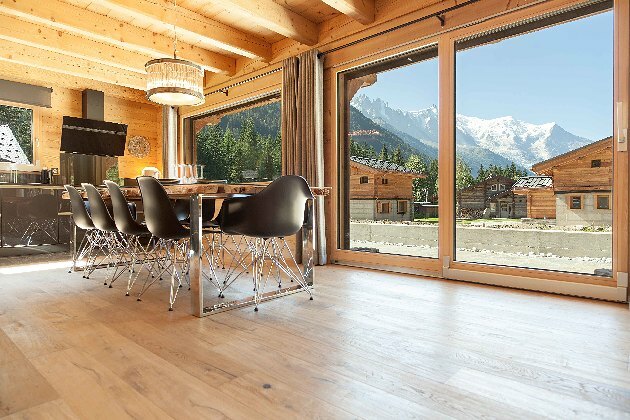 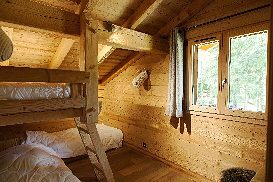 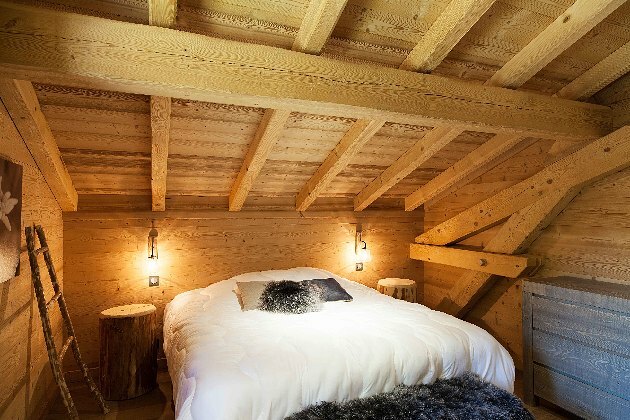 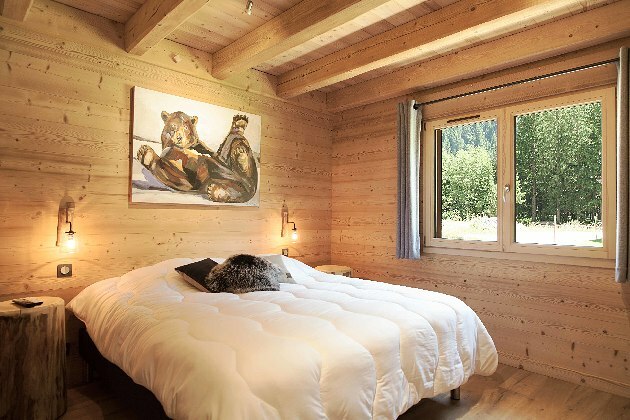 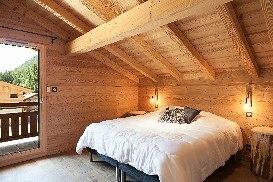 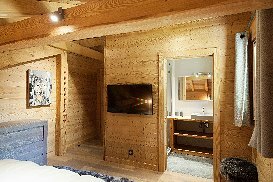 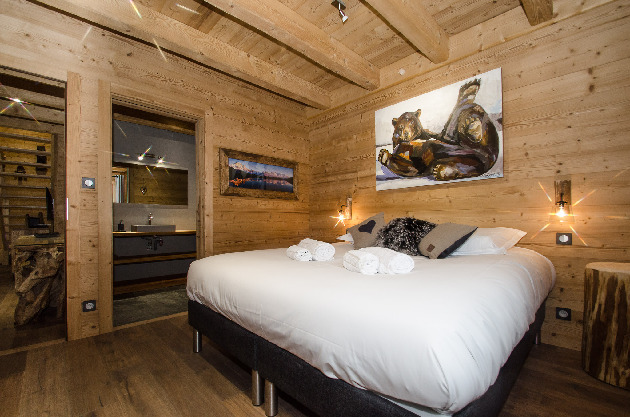 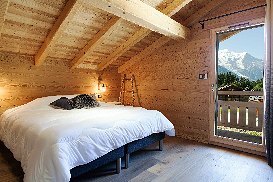 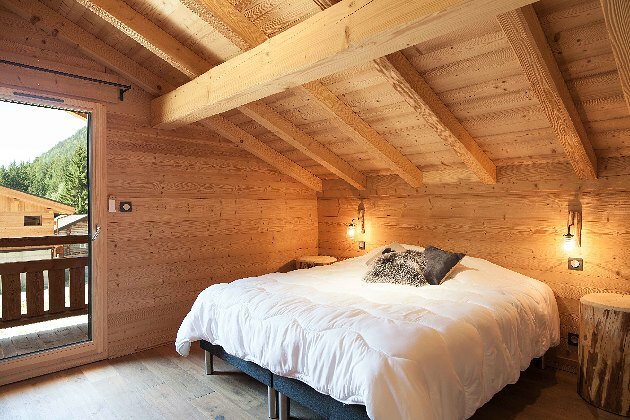 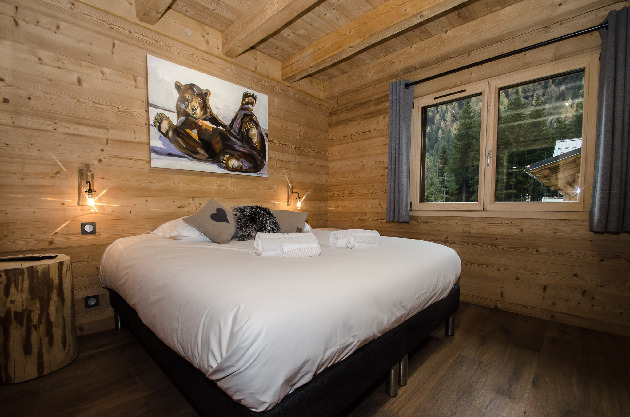 Two bedrooms with 180x200 double beds, each with its private bathroom, TV and a balcony overlooking Mont Blanc. 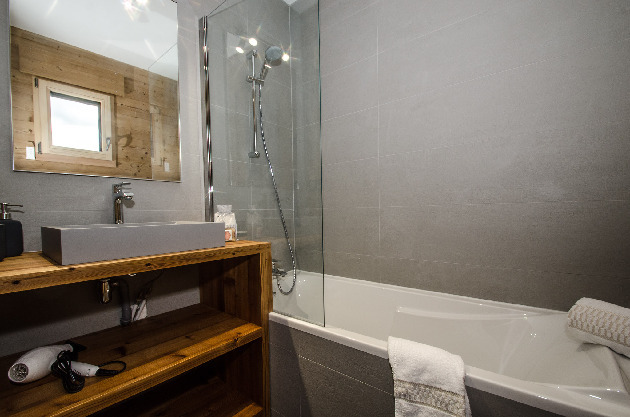 A room with a double bed 180x200 with a TV and a private shower. A triple room with two single beds and a bunk. 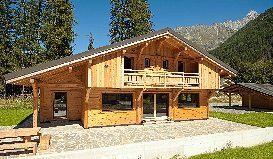 For your comfort, the garage was converted into a heated ski room with ski boots dryer.